Recently many of us lovely bloggers have been lucky enough receive some Stork and fabulous spices from Steenbergs so we can carry on and bake in the aftermath of the Great Bloggers Bake Off! I was thrilled when my Stork arrived to discover it was dairy-free which meant I could use it to cook for my children, one of whom is currently on a strict dairy-free diet. He loves chocolate and so I had a look in my Marks and Spencer Chocolate Box cook book for inspiration. 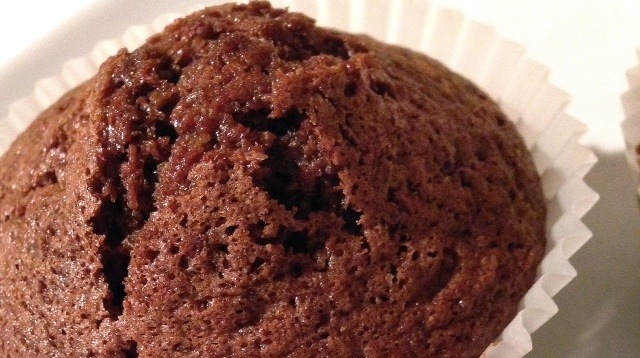 And there, on page 60, was a recipe for spiced chocolate muffins. Something which would use both of my recently gifted ingredients whilst satisfying every member of my sweet toothed family! 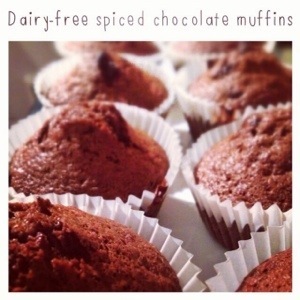 Here’s the recipe, adapted to be fully dairy-free. 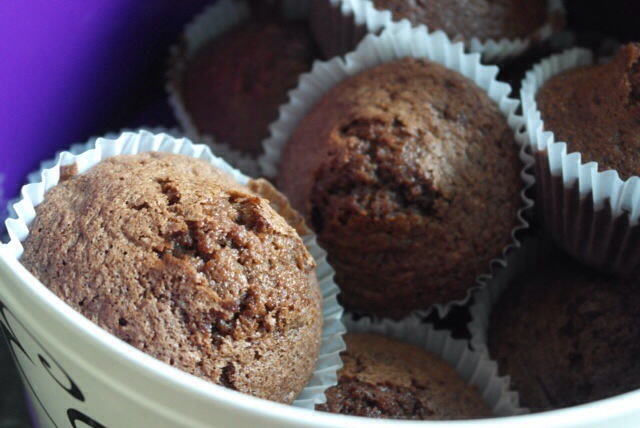 Line a 12-cup muffin tin with muffin paper cases and preheat the oven to 190°C/375°F/Gas Mark 5. Place the Stork, caster sugar and brown sugar in a bowl and beat well. Beat in the eggs, soya cream and soya milk until thoroughly mixed. Sift the flour, bicarbonate of soda, cocoa and space mix into a separate bowl and stir into the mixture. Add the chocolate chips and mix week. Divider he mixture evenly between the paper cases. Place in the pre-heated oven for 25-30 minutes. Remove from the oven and cool for 10 minutes, then transfer to a wire rack to cool completely. Store in an airtight container until needed! Not only do they sound delicious, the pics make them look super-scrummy too!